Upper Kerio Valley, Elgeyo-Marakwet, Kenya, Dec. 2014. 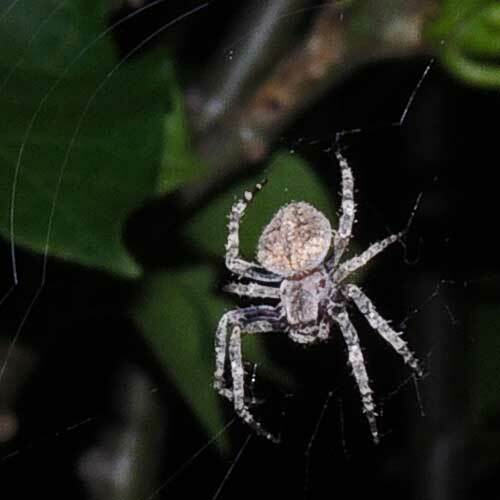 Spiders belonging to the family Araneidae build circular webs suspended between twigs or other structures and so designed to capture flying insects. For most species, the plane of the web is perpendicular to the ground. Many species, including the one shown here construct a new web each night. At dawn the web is eaten and the silk protein recycled for production of a new web after dusk.